The upcoming release of Forefront Endpoint Protection 2010, the next generation of Forefront Client Security, simplifies and improves endpoint protection while greatly reducing infrastructure costs. It builds on System Center Configuration Manager 2007 R2, allowing customers to use their existing client management infrastructure to deploy and manage endpoint protection. 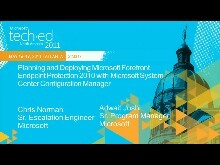 In this session we will discuss the architecture and deployment options included in Forefront Endpoint Protection 2010 through integration with System Center Configuration Manager infrastructure. 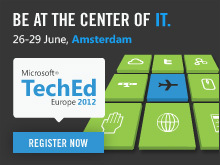 This session includes demonstrations of client deployment and management features included in FEP 2010.